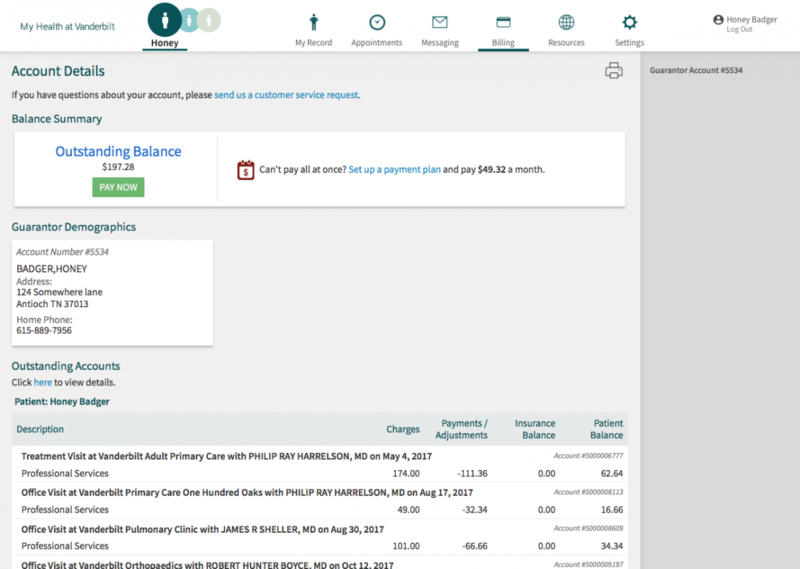 It is now even easier to view and pay your bills through My Health at Vanderbilt. 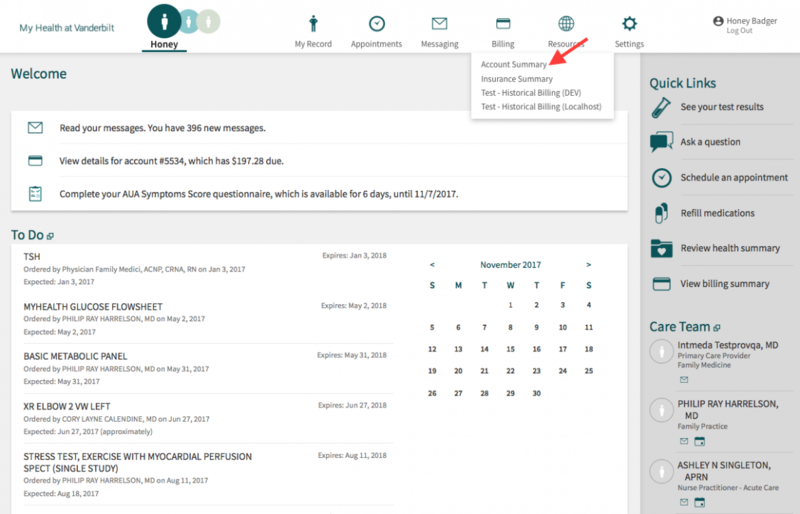 To do so, log in to your My Health account, click on "Billing" in the top navigation, then "Account Summary" from the dropdown. 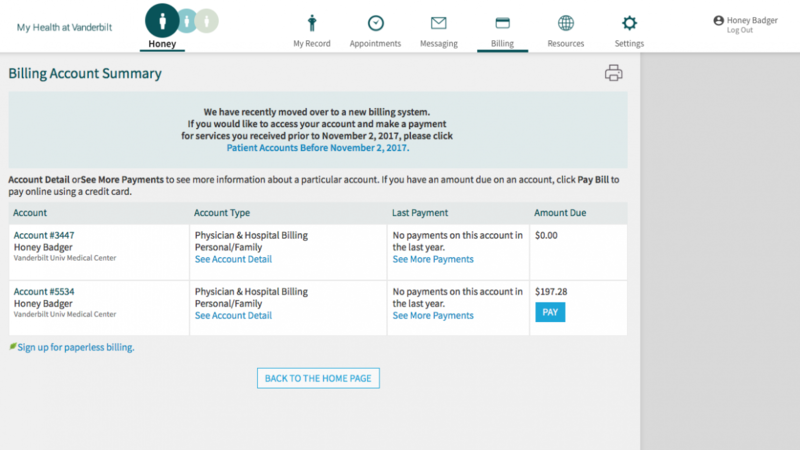 You will see your billing account summary detailing your accounts and any amounts due. Click on the blue “Pay” button to pay your bill in full or make a partial payment. After you enter your payment information, you will have the option to save your payment information for future use. Account Details — View the details of your account by clicking on “Account Details” under the "Account Type" column. Last Payment — View the payments on each account by clicking on “See More Payments” under the "Last Payment" column. Bills prior to Nov. 2 can be viewed by clicking on "Billing" in the top navigation menu and selecting “Historical Billing” from the dropdown. 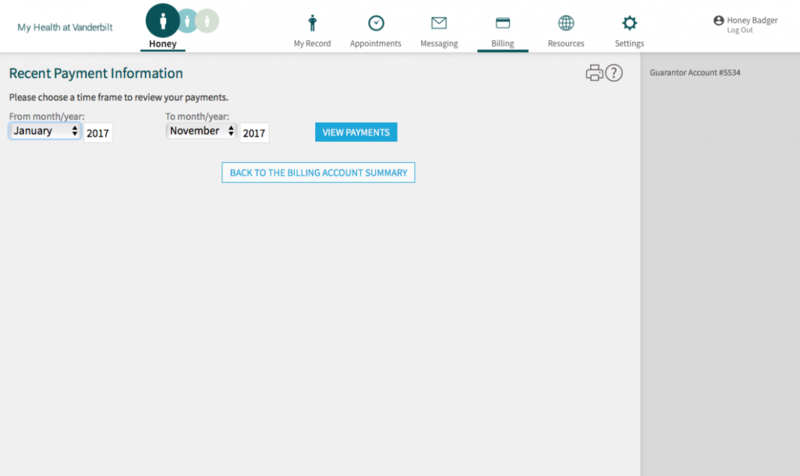 Can I pay my child’s bill online? You can pay your child’s bill if you have access to his/her My Health account. Here is detailed information on how to become a delegate on your child’s account.